Workers for Big Pharma, who makes billions of dollars of vaccines and drugs, represent the interests of the companies they work for and are biased. They can NOT be sued for their vaccine harming or killing hundreds of thousands of people, which they in fact do. Putting your soul trust in big pharma workers would be like trusting a fox to watch a hen house, or Hamas to run security at Ben Gurion airport! For many years I have been advocating for vaccination, based on an insider’s perspective. I have a PhD in Immunology from the Weizmann Institute of Science, and a Fellowship (PostDoc) in Immunology from Harvard Medical School. I have spent 14 years in Teva Pharmaceuticals trying to develop new medicines for Multiple Sclerosis patients. I understand how the immune system works, how vaccines work and how they have eradicated fatal diseases across the world. To me, immunology is fascinating and exciting, and I cannot begin to fathom how anyone could not accept the basic facts. And then I discovered that a relative posted a question on Facebook asking about attending a Shabbat meal in which her prematurely-born baby would be exposed to someone who has not been vaccinated. I called her and advised her not to go, and to my horror discovered that the unvaccinated person was the child of another family member, who has chosen not to vaccinate their second child. How could there be an anti-vaxxer in the family? I spoke to this other family member and offered to help with any questions they had, to provide relevant information and stressed the importance of vaccination. One of the most surprising things they said to me was, "Why should we listen to what the Ministry of Health tells us to do?" Wait, what? Where did this come from? Clinical development is a three-phase process. During Phase I, small groups of people receive the trial vaccine. In Phase II, the clinical study is expanded and vaccine is given to people who have characteristics (such as age and physical health) similar to those for whom the new vaccine is intended. In Phase III, the vaccine is given to thousands of people and tested for efficacy and safety. Many vaccines undergo Phase IV formal, ongoing studies after the vaccine is approved and licensed. There are literally hundreds, if not thousands of employees in a company working on a single product at any given time. There are countless interactions with the Health Authorities all over the world. Stringent practices for reporting adverse events (side effects) and following the safety of patients. Therefore, there are thousands more hospital employees, contract researchers, government officials and so on who are also involved in a clinical study for a single product at any given time. It is ludicrous to think that all of these hard-working, honest people are part of a conspiracy. I know of myself and my colleagues that there is one thing that drives us, gets us up in the mornings and makes us stay in this tough industry: Maybe, and it's only a maybe, we will bring a new medicine to benefit the health of a patient somewhere in the world. May I be rewarded with that accomplishment, many times over, and not have to hear about children falling sick and dying because people think that I am part of an evil conspiracy. Now, I suppose it's possible that this Big Pharma immunologist is himself lying and part of the conspiracy - after all, he is on their payroll. But I don't think that he is. I trust Dr. Joel Kaye, and I know him well. He's been married to my sister for twenty-one years. Great post by a great scientist. What Dr Kaye has not covered is the vaccine injury cases. No one that is familiar with the vaccine debate on any side of it, gov included deny that vaccine injury is an unwanted and undesirable outcome of vaccination programs. So all agree on that. What is in dispute, is the numbers of vaccine injured. The gov/ manufacturers admit to a tiny percentage only of those who are harmed. Parents report a staggeringly high amount of vaccine injury, this is the main source of conflict and distrust - not conspiracy theories. Vaccine programs worldwide have been proven to have had huge injury stats. The recent Indian polio drive resulted in over 500,000 cases of Acute Flaccid Paralysis. Despite the Indian authorities proving beyond doubt that it was due to the vaccine, WHO simply said it was not the vaccine, it was the way it was stored, so its not a vaccine injury. Similar issues in Rwanda with the sterilisation of many vaccine recipients. On it goes with cases after case. Then comes the CDC whistleblowers, like Dr Thompson, who revealed that the CDC has known for decades that the MMR vaccine causes autism in higher incidents in black boys than other recipients. Once again another coverup. Also in military, like Gulf war syndrome where troops had their chromosones destroyed by the vaccines they were given. Mass injury again. As vaccine injury grows exponentially worldwide, parents and families of victims know with certainty that Mainstream medical has lied, and vaccines are not safe nor effective. Therefore the breach of trust. All of this part of the argument has nothing to do with conspiracy - just plain facts with real world victims. Forgot to mention the recent research of many PhD's on the Autism vaccine link also - See https://www.amazon.com/How-Autism-Epidemic-J-B-Handley/dp/1603588248 The other part of the debate which could touch into conspiracy is the bio-weapon argument - that vaccines are bio-weapons used against the population to sterilise, reduce mental cognition, gene and DNA altering capabilities coming under "Social Engineering"that is now well documented. Some criminal conspiracies turn out to be true, if found to be true, that would be a Crime against humanity - similar to what the Nazi's did in their health experiments while killing people. Nothing new under the sun. The fact that your PhD doesnt know this - is worrisome, as to just how much of an expert on the subject matter he is. Your lengthy comment filled with craziness does not provide a single reliable source for any of the so-called vaccine injuries you mention. If you want to have a serious discussion, then please let's use common sense, logic and a basic understanding of Science. Let's take one of your examples as a case study: Gulf War Syndrome and Chromosomal Destruction - what does that even mean? If we put aside for a moment DNA damage and repair, and even entertain the thought that somatic cells were damages, there would be a lot more incidence of cancer. But let's take reproductive cells - chromosomal damage would lead to passing on of damaged DNA to offspring. A simple PubMed search reveals this study (https://www.ncbi.nlm.nih.gov/pmc/articles/PMC1569619/) which concluded: Nonetheless we conclude that for male veterans there is no strong or consistent evidence to date for an effect of service in the first Gulf war on the risk of major, clearly defined, birth defects or stillbirth in offspring conceived after deployment. Not so crazy when the evidence is there. For the Gulf War Syndrome, which you claim there is no strong evidence - See the 465 page report on it https://www.va.gov/gulfwaradvisorycommittee/docs/GWIandHealthofGWVeterans_RAC-GWVIReport_2008.pdf. Also there a number of documentaries on it, due to 1.100,000 troops being exposed to it. Here is one documentary https://topdocumentaryfilms.com/gulf-war-syndrome/. I find your answer really typifies the mistrust the general public has in mainstream medical today which basically is "Your crazy, there is no evidence and there is no link". As vaccine injury stats are moving into the tens or perhaps even hundreds of millions, which you all deny of course, this is a matter that will not be swept under the carpet. Also remember that it is not only doctors and medical researchers children that are cut down in this carnage, it is also the legal profession, with highly qualified prosecutors and legal researchers, politicians such as RFK, have all joined in the anti-vax movement for accountability. This grows daily. So days of reckoning are coming, just as they did for the tobacco industry that denied for decades that cigarettes were causing lung cancer etc. I did not provide you with links, as you are quite capable of researching that yourself. All of these cases can be found with a simple google search. I would also draw your attention to immunologists such as Hugh Fudenberg's work (passed away) and http://www.tetyanaobukhanych.com/ . There are others also who oppose strongly the medical profession's claims. Also you may be interested to contact the PhD contacts at https://physiciansforinformedconsent.org/about/ so you can speak to your peers on the other side of the fence, who you may grace with more respect than you have treated me as a parent. They do fully understand the scientific method, and will have all the citations listed for you so you dont have to waste your time doing a search yourself. I quoted a book above which has the full citations up to date to this year on the autism / vaccine link. With Autism expected to go to 1:2 children by 2030, there is not a family that will not be effected worldwide, and you can be sure those parents will no longer except your vaccines are safe mantra. I also neglected to mention the thousands of deaths worldwide on the Gardasil vaccine, where mainly young teenagers are cut down at the prime of life, and tens of thousands more permanently disabled for life. Also flu vaccine, which currently makes up 60% of vaccine court claims. Of course, within the next decade this massive movement against vaccines is likely to have legislation changed, so those involved in harming the population can be properly prosecuted for the damage. One has to also question if I as a parent am aware of this, why are you not aware of this? Is not this your field? I would expect you would already know about all of these cases to a much greater depth. (1) Polio vaccine and AFP rates - indeed, there are claims of a correlation between the administration rates of the oral polio vaccine in India and the rates of AFP. (See https://www.ncbi.nlm.nih.gov/pmc/articles/PMC6121585/#!po=66.2500) Your use of truly worrying 500k victims hides the fact that these occurred over a 15 year period. As the authors of the above mentioned article conclude: "The polio eradication programme succeeded in drastically reducing the global spread of this disease, which was achieved through the use of immunization with OPV. While commending this enormous effort at eradication, our observation supports the hypothesis that the frequency of pulse polio administration is directly or indirectly related to the incidence of NPAFP. It is hoped that this finding will help continue efforts at optimizing the dose schedule of OPV administration and result in a reduction in NPAFP—which is a feasible hope, as the incidence of wild polio is currently at an all-time low." This is a recent study and there does not yet appear to be a responding literature. The authors conclusion is far from your scaremongering. 3) Regarding the supposed CDC cover up, see this review and the li ked ryicles therein https://www.snopes.com/fact-check/bad-medicine/. As with all these cases, if you disagree with what is written in the links I have provided it would help if you could detail exactly what it is you dispute and what are your sources for doing so. 4) The Gulf War issue has been addressed by Dr Kaye. 5) Vaguely quoting the PhD's finding a link between vaccines and autism is not helpful. Please cite the actual research. This is particularly important since, as you will be well aware, the original research linking the MMR vaccine with autism has long been discredited. 6) You mention that the use of vaccines as bio weapons is well documented. Let me just say that in the age of the internet pretty much every side of every debate is very well documented. I recommend one of my favorite online games in which you search Google for a link between cancer and a random food / item. Ms Cassael, you are making assertions that are not only unproven, they are unproveable. Who are 'parents'? To whom do they 'report'? How many is 'staggeringly high'? How far is that from the amount without vaccination? Ariel, (1) Polio and AFP Rates: It is unacceptable to say that 'well your child did not get polio, they are just paralysed and disabled for life now under another label' - that is insidious. These cases are starting to appear in the US also and will likely spread due to the vaccine. This is nothing new, Dr Jonas Sulk testified back in the 50's in Congress that his vaccine had actually caused the polio cases. Other sporadic cases since then worldwide. The polio definition was narrowed and re-classified in this time also, so a polio case in 1950 can be called an AFP case or GBS case today - all have paralysis as a result of the vaccine. So if your all cool with your family being paralysed - we certainly are not and would never accept that risk as acceptable. (2) Sterilisations in Rwanda: are not a 'rumours' real people have been affected again and their sterilisations confirmed by competent third parties. It is reported that 500,000 women have been sterilised through this. WHO recognises the claim, but discounts it as they were not done in their laboratories, so WHO is not denying this event occurred. See http://who.insomnation.com/sites/default/files/pdf/who-unicef-joint-tt-statement.pdf Not good enough for half a million people destroyed. It is interesting to note that the 1970’s vaccine drives caused widespread death in Africa, as reported by the doctors on those missions, who then wrote books on it. So now there the death count has diminished while the sterilisation has kicked in. And No, snopes is not acceptable nor credible for any of this. So far in two cases, we have over a million victims and pathetic denial with no serious response from the medical authorities. (3) CDC coverup – Already in court and the gov found to have neglected their duty on vaccine safety and ordered to change their procedures and provide documents. This case is expected to explode as the reports come in and their full negligence exposed. For the latest case docs http://icandecide.org/government/ICAN-HHS-Stipulated-Order-July-2018.pdf . Gabriel this is the whistleblower case and is not going away anytime soon. Others are also coming forward to give evidence. With JFK involved, Del Bigtree and others like President Trump following this case, it will likely be in the news for some time. (4) GWS – Not addressed – Just denied as usual. However, that has no bearing on the reality of these victims nor their claims, nor the class action lawsuits that will come from them. Another million+ young lives destroyed. (5) Autism – I have quoted the book with all of the research fully cited in it https://www.amazon.com/How-Autism-Epidemic-J-B-Handley/dp/1603588248. This is not a vague reference, it is incredibly detailed, up to date and will likely add over one hundred million of Autism damaged patients onto the vaccine injury lists, which will then also result in class action lawsuits. Ehud, I am reporting the situation to you as accurately as possible, in a comment setting, they are not ‘my claims’ they are the claims of millions of vaccine damaged people who are not yet recognised by the medical profession. These cases are not ‘unverifiable’ or ‘unproven’ as you claim. If you want to ignore this – your choice. I can assure you the Courts will not be ignoring this. Once the courts are finished with these cases, which may well include Atrocity criminal convictions in certain cases, then the medical profession will no longer be able to claim ignorance or deflection. (6) Vaccine injury Stats - where do they come from? Gov. manufacturers, organisational such as Autism society etc, victim data mainly. Each disease classification normally has a count of cases and associations that deal with that particular disease. Once that disease has been proven scientifically to be the result of vaccines, such as AFP for example, then those cases can add on to the potential vaccine injury stats / lawsuits. There is now over one hundred auto-immune diseases linked to vaccine damage. Victim testimony usually go something like this “I was fit and healthy and I had the vaccine and within 24-48 hours my symptoms occurred.” Or similar variants. In the cases of SIDS, my baby had the vaccine and stopped breathing …. Etc. There are also Adverse Reactions Databases in certain locations worldwide where parents can report adverse vaccine reactions that range from death, permanent disability through to minor issues like swelling at the injection site. Considered to be highly under reported as most parents are told by their doctors that their condition is not vaccine injury, so they don’t know to report it. Used for some things. Apologies for spelling errors previous post – could not go back to edit to fix them. but that only make sense for people who are rational and believe in crazy concepts like "science" or "western medicine"
A person who was fine until he was vaccinated, is still only theorizing that there is any connection between his illness and his vaccination. To claim that parents report stuff, when they have no idea as to the true reason, is disingenous. The courts, thus far, have disproven any connection between vaccines and autism, even though laymen have been using your kind of proof for years. Again, SIDS and vaccines often take place at a similar juncture in a person's life. That does not show any correlation. My child didn't talk and started talking after his MMR vaccination, as the vast majority of parents can attest. Does that prove that vaccinations cause speech (possibly a negative phenomena)? Do you agree that, in order to find the truth, you have to listen to both sides, and see which side makes more sense? Have you bothered to check what the other side has to say regarding each of your claims? Because it just takes some simple Google searching! I have checked many claims of anti-vaxxers using this simple method, and I have consistently found logical and satisfactory answers. 1. Regarding the CDC "whistleblower": It's true that Thompson felt that some data should have been reported but wasn't. But I ALREADY GAVE YOU A LINK that explains the following: (1) There is a logical reason why the data wasn't included (though Thompson does not agree on this). (2) In any case, the data is too small to be statistically significant. (3) Other statistical studies, with much larger data, show that blacks DO NOT have higher incidence of autism than whites. In conclusion, the "CDC whistleblower" DID NOT reveal secret proof that vaccines cause autism. So can we stop repeating that claim? Can we move on? Why do anti-vaxxers keep repeating things that have already been refuted?? 2. Regarding the recent ICAN (Informed Consent Action Network) lawsuit against the HHS: ICAN says that, according to a 1986 law, the HHS is supposed to give Congress every two years a report on what they did to make vaccines safer during those two years. The HHS did not submit those biennial reports, and hence, says ICAN, they did not do their job of ensuring vaccine safety. Now, it's true that they did not submit those biennial reports. Apparently the HHS forgot about that particular point in the law, and nobody noticed until now. Yes, from now on, the HHS should start submitting those biennial reports as the law requires. 3. BTW, regarding ICAN: Turns out that a guy called Del Bigtree from ICAN (the producer of the film "Vaxxed") wrote a letter to HHS asking some questions about vaccine safety. For example, one of the questions was about why aren't some vaccines compared against placebos in safety studies. In response, Dr. Melinda Wharton from the HHS sent him a detailed response answering all of his questions. In particular, she explained the placebo issue. But then I see that ICAN has a "white paper" that repeats those issues that Wharton already answered! In particular, the placebo thing! 4. Also, that ICAN white paper says that vaccine safety tests are not good, since they have an insufficient follow-up period of just a few days. But are vaccines really tested just for a few days? Dr. Joel Kaye just described for us the long and arduous development and testing process of vaccines, which can take many years. Similarly, Dr. Paul Offit in his book "Autism's false prophets" describes the long process that it took him to develop and test the first rotavirus vaccine, over a period of over 20 years. So how can ICAN claim that vaccines are followed up for just a few days? Without being an expert, I can say it's obvious they are somehow misrepresenting things so as to deliberately cause confusion. Gabriel, so you then think that these millions of victims worldwide do not really have the issues they have and are falsely blaming their vaccination? Interesting you brought up the Rotavirus vaccine - another claim on that of 25 million Americans that have been vaccine damaged by this vaccine. 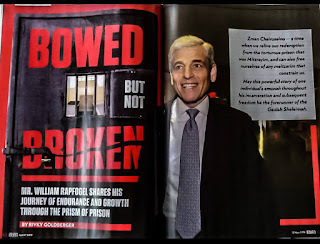 See https://www.collective-evolution.com/2018/11/06/researcher-jailed-after-uncovering-deadly-virus-delivered-through-human-vaccines/?fbclid=IwAR2_xYEerClo-kzPaJcu5MLFmWO2O3pEFWCqIjuTNwygikuYfVNny7pStq4. Ehud, the courts that have ruled that vaccines have caused Autism have been overruled, however its only a matter of time before these rulings will stand - Why? Because the evidence is overwhelming that vaccines are causing vaccine damage - and it is on a scale of millions of people. Govs can claim that it is 'safe and effective' and we can argue about minor points all day - when the rubber hits the road, people smart enough to know the debate or families that have been effected and know it is the vaccines, but cant get recognition for that - will stand against it. Your pro vax positions of really millions are not damaged by it - its all a coincidence, do not stand the test of honesty on the evidence. The courts take time to catch up with these issues as we know from the tobacco issue, but eventually the evidence comes out and is acknowledged. I wont rejoice when that occurs - as how many will be permanently disabled by then? Probably members of your family also. So just look after your family and dont trust that the gov / corporations has your interests in mind - they clearly dont. Lastly I will just note on the bio-weapon side of the debate that many of the vaccines are produced solely in China. We do not have access to these labs, nor know the ingredients, so we have no idea what is actually in them (you gov doesnt either). If you have read anything at all about bio-warfare you will know we have previous attacked them with gene specific targeting. You really believe they are not doing the same? Some researchers have tested these vaccines and found that the viruses were not attenuated, it contained substances that were not supposed to be there (explains Rwanda), in addition to all sorts of other nasties. Just make sure you fully read the vaccine inserts for the long lists of Adverse effects the manufacturers admit to, like death, permanent disability etc. You waive your legal rights as soon as you consent to take it. Remember that. If your family is damaged, it can take 10 years of fighting to get compensation that wont cover the costs, or in many cases your claim is dismissed. Serious when its your family that has to carry the damage. You just confused "rotavirus" with "retrovirus". But nevermind. Now you gave me a link to a news article in a website called "Collective Evolution". The article claims that Dr. Judy A. Mikovits was thrown into prison for refusing Deep State's demands to discredit her own work, to the effect that retrovirus vaccines have damaged 25 million Americans. 1. Mikovits co-authored a 2009 study that found a link between a disease called CFS (common fatigue syndrome) and a virus called XMRV. 2. The cause of CFS is unknown, so people all over the world got all excited. 3. People got disappointed when other labs failed to reproduce the results. 4. It turns out that in the 2009 study, the XMRV got there as a result of sample contamination. Meaning, the research was very shoddy. Mikovits and her coauthors had to publish an embarrassing partial retraction. 5. It further turned out that one of the figures in the paper was later on used by Mikovits at a conference to illustrate a different thing. So the story now went from SHODDINESS to FRAUD. Science Magazine turned the partial retraction into a FULL RETRACTION. 6. Mikovits's institution asked her to pass on the study materials to someone else, as well as to hand over the notebooks. She refused, so she was fired. She was also briefly arrested, then released. One final point: At the bottom of the "Collective Evolution" article, there is a link to another article of the same website, titled "UFOs Spotted Off The Irish Coast By Airline Pilots – Here Are The Details"
An excellent post from Avigail Cassel which wonderfully illustrates the mindset of those who sit on the anti vaccination side of the fence. There is no argument or evidence which will convince her otherwise as she just doesn’t have an understanding of the scientific method which underpins modern medicine. Stephen, this is not just a debate about scientific method. That is a subset only of this debate. Its about people's lives, health, fitness, legal rights, judicial rulings. governments, organisations and corporations. Its also about overall patterns of outcome. While I am well used to ad hominem attacks, I urge you to imagine if you children/ grandchildren were vaccine injured and you could not 'prove it', or were not believed, what issues would be a concern to you. It would not hurt you to get off your high horse and view this from the perspective of millions of now vaccine damaged families. It is likely that most uneffected pro vax families will be in exactly this position based on the current trajectories. Even if there is some small percentage of "vaccine damaged families" (and it is likely, of course, that some people have suffered adverse effects from vaccine administration, given that it is statistically inconceivable for any treatment to be completely without adverse effects), that number pales in comparison to the millions upon millions of lives that have been saved (to say nothing of the disabilities that been prevented and suffering that has been averted) by vaccines. If you can't prove it then maybe there is no link! FYI, if the FDA approve a drug they have the right to inspect any facility anywhere in the world without notice, including China. There are nations in the world that would give anything to have our access to vaccines including MMR, Typhoid, Diptheria etc. It is only because we are - thank gd - so fortunate that previous generations were meticulous about vaccinations, that people like Avigael can even entertain such a notion as anti vaccines! I would go further and say the only reason previous rabbis never issued an edict making it halachically a necessity to vaccinate yourself and your family is because it was so obviously part of "veshamarta as nafshosecha" it was self evident. Oh and yeh, I have a tertiary degree in this space and used to work for "big pharma" as a formulation scientist. I was thinking the exact same thing even before reading that line about "conspiratorial thinking". I wonder if these types of Jews also believe that Jews in general control the world finances, made up the Holocaust, are the children of the devil, were behind 9/11 etc. Or in this case its different because they are Jews themselves and know that anti-semitic canards are simply not true. When you dont know the inner workings of a pharma company and the research that goes into making health policy then you are as idiotic (and perhaps dangerous) as an anti-semitic stormer. Haredism is, at its core, a conspiracy driven ideology where metaphysical and human demons are out to get Jews. No wonder Haredim are so susceptible to anti-vaxx conspiracy theories. They present fertile ground. Is Rabbi Slifkin's musical neighbor haredi? Rabbi Slifkin's musical neighbor is not charedi. but anyone ignorant enough to think that charedi judaism is a conspiracy driven ideology, or that anti vaxxers are more common among charedim than the general public, is unlikely to be dissuaded from their crusade by so minor a consideration as "facts". If these doctors are prepared to vaccinate their very own children, how can you argue that they don't look into vaccine injury? Many doctors and researchers dont vaccinate. Those that do, that suffer vaccine damage regret the decision. Most dont look into it, until its too late, and those pro-vax people very quickly become anti-vax. I work with doctors every one of them vaccinate their children a d advocate vaccinations. There are some who refuse to see children who are not vaccinated. "Many doctors and researchers dont vaccinate". "Those that do, that suffer vaccine damage regret the decision." "Most dont look into it, until its too late, and those pro-vax people very quickly become anti-vax." Just curious: there are no reputable sources, no science, no rationality - just assertions, half truths ('half' is being generous) and extrapolations based on wild and conspiratorial thinking. I'm a doctor by the way and still waiting for my handout from Big Pharma. This comment proves the OP’s point about conspiratorial thinking being linked to Anti-Vaxx attitudes. “He's been married to my sister for twenty-one years.” Great, so they’ve co-opted you too :). "between 6% and 20% of Americans, 25% of Britons, and 28% of Russians surveyed believe that the manned landings were faked"
I'm always suspicious of scientists from Australia, especially remote parts of Australia like Perth; you have no idea what they feed them on down there, so I would take everything that "Doctor" Kay says with a grain of salt. All kidding aside, it amazes me that this is even a debate, after the number of diseases that vaccinations have eliminated over the past century - but alas, I also have an anti-vaxer in the family, although fortunately in her case her husband had the kids vaccinated and told her about it afterwards, so her conspiracy theory is not putting the lives of her kids at risk. Vaccines are bad for you. This had been empirically proved by the number of polio and smallpox deaths that occur in the United States. The government doesn't want you to know about these cases since they actually don't exist but i"ll fight you to the death with misconstrued or outright fabricated information, such as that lots of vitamin c will protect you from the measles but not stupidity. the 2 available vaccinations in the UK for MMR (as an example)cost (to the pharmacy), on average 42 NIS. They are given once - that is once in a person's lifetime. the cost of the only FDA reccomended treatment for juvenile autism (the associated "risk" of taking the MMR according to the loons) is risperdal tablets a cost (to the pharmacy) of approx 81 NIS per month. Presumably , IF prescribed, this would be an ongoing cost for many , many years. clearly, then, the argument about pig pharma and money is utterly nonsensical. Very good post, and Dr. Kaye's experience mirrors the experience I have on the medical-device side of things. The bar for getting products approved is high, and gets higher over time. On the pharma side, I've heard it said that even a common drug like acetaminophen / paracetamol (Tylenol in North America) would likely NOT pass FDA approval if it were introduced today due to the liver toxicity risks. All that said, I think it's worth remembering the adage about the near-impossibility of using reason to argue someone out of a position that was not itself arrived at by reason. Thank you Rabbi Slifkin for shedding light on this issue. I couldn't agree more! Imagine all the people who were not getting vaccinated till they read this post. It is literally saving lives. Everyone should print this and hang it in their shul local grocery store etc. I am waiting for someone to claim that Rabbi Slifkin is an undercover Pharma agent. Given the danger to the community, could you name names? Drugs have been tested for years where as vaccines have been tested for under 1 week and then put on the market NO comparison. Drug companies have absolutely zero liability if a vaccine damages or kills someone. Unless you can prove they tested it and knew that it was defective. This gives them absolutely no incentive to test their products. The HHS which is responsible for checking vaccine safety has not done so since 1986, so we are supposed to trust the drug companies because they said it's safe after testing it for 5 days??? According to VAERS which was set up by the CDC and the FDA 452 people died from the MMR vaccine vs 11 during the same period of time. THAT MAKES THE VACCINE 40 TIMES MORE LETHAL. Hundreds of thousands of reports of injuries have been reported from vaccines . The US Supreme Court called vaccines "unavoidably unsafe" everyone should have the right to decide if they want to risk their children's health on an unsafe product. YOU ON YOUR BODY NOT THE GOVERNMENT! Despite this the u.s. vaccine court has paid out over 3.9 billion dollars in vaccine damage clearly showing they admit and acknowledge vaccines cause damage and death . Israel is paying 20 million shekel to IDF soldiers who are damaged from vaccines. The MMR vaccine actually spreads measles as has happened in the Ukraine and now likely happening in Israel . This is scientifically verifiable by checking the strain of the measles and seeing that it is the vaccine strain . Why don't you ask your brother-in-law to test that? Finally when was the last time your brother-in-law or you when ejected with 72 to vaccines that are recommended by the CDC? when was the last time your brother-in-law and you got an MMR vaccine? since they are only effective for about 10 years you and your brother-in-law are no longer immune and are there for "unvaccinated" like all the other people you expect to be vaccinated. So... until you go out and get vaccinated you should stay away from people including your own children, you don't want to put them at risk do you??? and if you do get 72 vaccines including the MMR make sure you stay away from everyone for 30 days since they shed. this is why hospitals don't let recently vaccinated people in . It doesn't need to be a big conspiracy to understand that big Pharma has been paying off Health officials for years, this is a verifiable fact, all the details are laid out in this presentation . I see you enjoy spreading your lies in forums other than Facebook. Not surprising, I guess. Are you the neighbor that Rabbi Slifkin refers to? If so, I had a suspicion as such. If not, then there are way too many dangerous lunatics living in RBS. Whatever the problems with this particular anti-vaxxer, there actually ARE "way too many dangerous lunatics living in RBS". I am a neighbor of Rav Slifkin, and can attest to the above (unless one considers ME an dangerous lunatic! ;-) ). The condescension dripping from this post is, by itself, reason enough for people to disregard anything it contains. Is the best argument in favor of vaccination merely an attempt to belittle those opposed? And how do you expect anyone to be convinced by Dr. Kaye, who is not only your brother in law, but also makes his living from the industry he attempts here to defend. Worse, by his own admission, he "cannot fathom how one cannot accept the basic facts." If one cannot even understand the opposing viewpoint, he is no position to be defending his own. Indeed, the first rule of debate is the ability to credibly represent the other side. Dr. Kaye (who then responds to his first commenter with the reasoned argument of calling her "crazy") is clearly not the right man for the job. 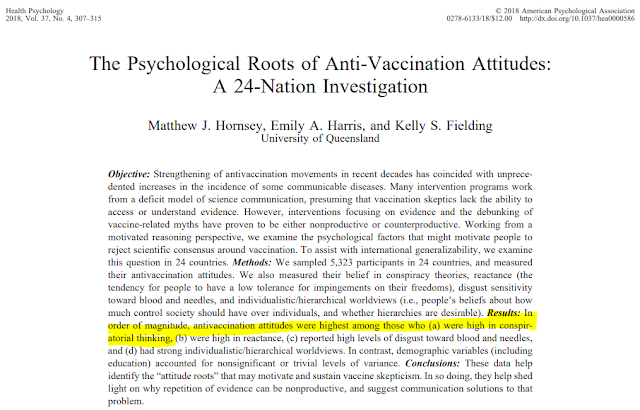 The paper presented here looking to "understand" the opponents of vaccination reminds one of how the US media writes about Republicans, once memorably described as "dispatches that read like reports from colonial administrators checking in on the natives." RDNS cements that impression by inventing some obviously disturbed individual to represent the opposing view. Where does this attitude come from? Why are the proponents so afraid to take on the many serious and informed opponents of vaccination? I shouldn't have to keep repeating this, but its obvious I do: You will NEVER win friends and influence people by mocking them. Strong disagreement, yes. Silly attempts to belittle, no. All that does is rally the smaller-minded of those who folks already agree with you. If that's all you want to do, great. But I would hope this forum to be better than that. The king of condescension himself, DF, is calling *other* people condescending?! Beat me to it! DF is indeed very proud of his "years in Kol Torah" and can speak with deep gravity and authority on anything he so pleases. Why does he keep having to repeat himself? Why don't we learn from his vast wisdom already?? "but also makes his living from the industry he attempts here to defend." This is the same argument we hear over and over from the anti-vaxxers. "For those that don't know, the vaccine testing and approval as well as drug development cycle takes years." or how about this part? "There are literally hundreds, if not thousands of employees in a company working on a single product at any given time. There are countless interactions with the Health Authorities all over the world. Stringent practices for reporting adverse events (side effects) and following the safety of patients." If you cant trust him because he makes his living spending years testing vaccines to make sure they're safe who then can you trust? And how do you expect anyone to be convinced by Dr. Kaye, who is not only your brother in law, but also makes his living from the industry he attempts here to defend. "And how do you expect anyone to be convinced by [Gadol], who is not only your [relation], but also makes his living from the industry he attempts here to defend." OK, the paraphrase is a bit tortured, but the logic is the same. Follow the Gadolim because the Gadolim say you have to follow them. I suppose it is not unreasonable to point out that mockery is not necessarily the best way to convince people of one's argument, but your own argument is undercut when you make reference to "the many serious and informed opponents of vaccination". Simply put, there is no such thing. To make reference to "serious and informed opponents of vaccination" is akin to making reference to "serious and informed" believers in spontaneous generation or "serious and informed" believers that the sun orbits the earth. All of these represent discredited theories that should rightly be consigned to the dustbin of history. "[Y]ou also had people that were very fine people, on both sides," Trump said. You mention discarded theories like spontaneous generation and the geocentric universe. Why not bring it closer to home, with discarded medical practice, such as lobotomies? Indeed, who's to say vaccinations might not one day fall within the same category? I'm not here to argue for one side or another, because I don't know enough on the subject. To claim, though, that "there is no such thing" as informed opposition is badly mistaken. On this comment forum alone I see there are very knowledgeable opponents. And of course, this is not exactly a hospitable forum for that point of view. Most people have no interest posting on a forum with intolerant haters like the commenters above. Google around for ten seconds and you'll find plenty of material n this subject. One who claims "it doesn't exist" just means that, to that person, he's turned his opinion into religious dogma. Not very rationalist, is it? Any vaxxers ever wonder why, after the advent of the polio vaccine, polio went from fairly common to virtually non-existent? Just a coincidence? What are you talking about? Tranverse myelitis and poliomyelitis are two separate and distinct clinical entities. Transverse myelitis bears no relation to the polio virus or the paralytic syndrome it causes (which has been effectively eradicated in the develped world by polio vaccines). Also, what do you imagine it means to "[write] it out of the system"? Joel Kaye replied to me with words like... "craziness"... "You're an idiot"... I can see the real concern, compassion and respect you have for kids and fellow Jews. Did Joel Kaye Ever hear of projection??? SOME vaccines are tested for days I believe like Hep B which criminals in white coats give to 1 day old babies "in case they share a drug needle with a prostitute in their diapers", and Gardisil which causes 25% infertility among woman, among others. I will correct my previous statement and agree that perhaps some other vaccines may be tested for a few weeks, but no one knows the long terms effects of those vaccines. Most of those studies are completely bias because they are paid for by the pharmaceutical industry. NON of the studies contain a saline placebo. Nor are they tested against NON vaccinated groups. There has NEVER been any studies on multi-dose. Like I said the fox watching the hen house!!! Or Hamas Running security at Ben Gurion. If vaccines are safe and effective etc" why do we need The National Vaccine Injury Compensation Program (VICP)? Why can the vaccine manufactures be liable like ALL other companies on the planet? How is this moral that your kid can drop dead a few minutes after a vaccine as has happens many times and you can NOT sure the manufacture??? Has this programs paid out 3.9 billion "to compensate individuals, or families of individuals, who have been injured by childhood vaccines, whether administered in the private or public sector? " The USA supreme court calls vaccines "unavoidably unsafe" which means you can get seriously injured or die from them. And sane people suggest the government should be able to force you to take their toxic injection and NOT be able to sue if you are damaged or killed??? How moral or free is that??? Sooo.... Basically this is FAKE science, or medical propaganda to fool the fryers to inject themselves with untested toxins and make $billions for corrupt and greedy Big Pharma and friends. You claim that vaccines are tested rigorously and proven safe...Right? But what are they tested against??? Infanrix tested againt Pediarix. Both groups administered varying combinations of HepB, IPV, HIB, PCV, MMR & Varicella vaccines at the same time. Kinrix tested against Infanrix. Both groups also received IPV and MMR at same time. German study: test group =Pediarix AND HIB versus control group = Infanrix, HIB AND OPV. Pentacel (5 in 1: Dtap, Polio, HIB) tested against already licensed and non-licensed combinations of those vaccines. Both test and control groups also received PCV, HepB (and MMR at the last dose) at the same time. Quadracel (4 in 1: Dtap & Polio) tested against already approved Daptacel & IPOL vaccines. Both test and control groups also received mmr and varicella vaccines at same time. ActHIB reactions observed after administering ActHib or ActHib plus Daptacel, IPOL & PCV. No group did not get ActHib at all. First all of all, Dr. Kaye did not respond to you at all (unless you sockpuppet as "Avigael Cassel"). Secondly, though he [rightly] called out that comment for its "craziness", nowhere did he call anyone an "idiot". "Gardisil [sic] which causes 25% infertility among woman [sic]". How can you, in good conscience, post narishkeit like this? It is not only patently false, it is ludicrous! "SOME vaccines are tested for days I believe like Hep B which criminals in white coats give to 1 day old babies 'in case they share a drug needle with a prostitute in their diapers'". None of the links you posted actually works, but what you seem to be trying to point out is that new vaccines are tested against exisitng, proven vaccines (as though this is somehow a problem). As I'm sure Dr. Kaye could better explain, there is a concept in vaccine/drug trials known as "non-inferiority". That is, while you could test a new vaccine/drug against a placebo to demonstrate its efficacy (or lack thereof), such a such test does not evaluate how the new agent performs compared to existing vaccines/drugs used for the same condition. So even if a new vaccine/drug is found to be effective (compared to a placebo), if it cannot be shown to be "non-inferior" to (that is, at least good as) an existing agent in a head-to-head comparison, then what is the point in approving it for use? Accordingly, such non-inferiority trials actually represent a higher standard of evidence in these cases than a placebo-controlled trial would. On first blush I would think that testing a new vaccine against a saline placebo, where other effective vaccines for a disease already exist, would be profoundly unethical and not likely to be allowed to proceed. Natan Slifkin The Torah says someone who takes a Shochad is bias and can not be trusted. And it is referring to Tzadikim. Do you really think the "Tzadikim" that work for Big Pharama and with many health ministries are somehow "immune" from this? Is there a "Shochad" vaccine we don't know about? I'm not saying EVERY pharma product is necessarily bad, or that EVERY Pharama worker is involved in corrupt deals, payoffs, bribery and deception. Or that UFO's drop pharma products from space. 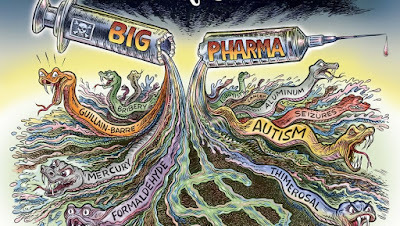 But there has been a Revolving Door between The FDA CDC, and Big Pharma for years. This is an undeniable fact. Sometimes countries fine them sometime times not. Japanese health authorities said Friday that they have ordered the local unit of Swiss pharmaceutical giant Novartis to temporarily suspend its operations for failing to report drug side effects. As you go down the chain, the money flows and less people are aware who is financing the people who are making health policies. 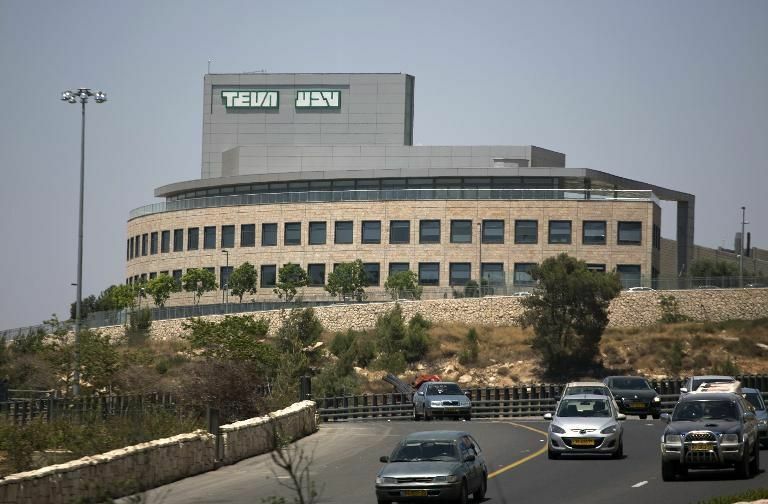 teva pharm was also caught recently for bribing gov. officials and doctors in eastern europe to push their meds to patients. what does dr. kaye say about his own company's unethical practices? how can people ever put their trust in a drug company after reading that? I am not a scientist, but I do learn Torah. And that Torah does not say that any possible bias is an automatic disqualifier. A doctor who is paid is still believed with his medical information. And the Torah's yardstick for health and safety is not the same as laymen's or doctor's. The halacha has something to say about danger and the rule of thumb is דשו בה רבים, if the public does something and it is a standard procedure, its dangers are ignored. A person is not transgressing any sin when he eats meat, even if someone can point to scientific proof that a vegetarian lifestyle is healthier. So too, even if any of these anti vaccine theories end up being proven, the Torah would still permit their use. Of course, most of the claims quoted above are patently untrue. The CDC removes vaccines that have been shown to cause harm, 'unavoidably unsafe' is a legal/medical term, not understood in the same way us laymen understand it, and pharmaceutical companies make much more money when the masses get sick from measles, so their bias should be against the MMR vaccine. Peter C. Gøtzsche; Richard Smith; Drummond Rennie (2013). Deadly Medicines and Organised Crime: How Big Pharma Has Corrupted Healthcare. Radcliffe Publishing. ISBN 9781846198847. The founder (and recently expelled) member of the Cochrane group shows the true face of the drug industry. This is not a wacko book but a thoroughly researched scientific critique by a scientific researcher of the highest caliber. You seem to be ignoring the difference between bribery (Shochad) and being paid for legitimate work! Reading this, I say to myself: If the scientists really cared about patient safety, they would admit that “where there’s smoke there is likely a fire.” Calling someone crazy for sharing legitimate concerns just shows that you have an agenda. The focus should be on testing and testing and testing again to get this right - not on fighting. Blowing smoke is not the same as there being smoke. Vaccines are tested. No one is perfect, but we get better over time. There's thousands of other drugs on the market, and yet we don't have conspiracy theories surrounding them. What's the difference with vaccines? Because you're told to get them. People are rebelling against authority, and they are throwing out science and logic along the way. I'll be honest and say that I really don't know the truth about vaccines; there is clearly an effect but on the other side is a lot of corruption and disinformation. But to all you guys who accept scientific validity without question, I wonder how far that goes. According to science Moshe Rabenu was psychotic, because he claimed to hear the voice of G-d. He would be diagnosed as schizophrenic and treated with antipsychotics within the scientific framework. If you are fine with this then ok, I just wonder how you square it with being frum (assuming that you are). According to science Mosher rabbenu was what....???? Pls quote the journals and studies that research was published in. If it's true I'm off to get a Big Mac and Cheese! There's no need for research. That is how the system views someone who claims to hear voices. Ask your local psychiatrist. ps It's the psychiatrist that's wrong, so if you want cheese in your big mac then make it tofu. As a Torah-True (TM)Jew, who follows the Rambam and the Geonim, wouldn't you now be obliged to give up your Judaism as the mere rantings of an ancient lunatic? On a deeper note, there is actually a strong connection between what science labels 'psychotic' and prophecy. Did you ever think what the word really implies? It's a space where the natural barriers that lock people into pure physical awareness (the state of after the chet of odom harishon) have gone. If you enter into it in a negative space then you become 'psychotic' with disordered thinking and also 'hallucinations'. Don't forget that 'hallucinations' is a label that is forced on science because of course by definition there is nothing out there to see. In Scotland they used to speak of the 'second sight', the american indians used tobacco (the word tobacco means 'to see' in indian language). If you enter into the detatched from body senses state in a healthy way - in other words the religious experience - then you see G-d. The infinite light. Every culture knows of this light that fills the world. Except one. The one we live in. And science creates the perceptual barrier that keeps you locked in. here endeth my waffle for today. thank you for listening if you got this far. I did follow your waffle. But, again as per the Rambam, prophecy is just a well oiled noggin. So, although it's a cute idea, prophecy and psychosis being two sides of the same coin, I think I'll tweak your idea and say that one is a damaged brain and one is a well used brain. Of course it's entirely possible that prophecy is actual direct communication from G-d to human but then science would probably wash it's hands of the whole thing. Not their field, as it were. I am actually amazed that a Blog with the name "Rational" in its name includes so many readers who buy into the craziest conspiracy theories. Most conspiracy theories don't bother me, if you think that the moon landing was faked, or 911 was an inside job, or the government is covering up a UFO landing, or Princess Dianna is still alive - that's up to you. However if you refuse to vaccinate your kids because a friend on Facebook told you, you are not only putting your own kids lives at risk, but if you and travel on the same plane or go to the same doctor as a pregnant woman, or a cancer patient, or someone with a weak immune system - you are putting someone else's life at risk. - Do they have an advanced medical degree or science degree in a related field. If they can't give satisfactory answers to the above questions, please consult a doctor or other medical professional before taking their medical advise. "However if you refuse to vaccinate your kids because a friend on Facebook told you,.."
Not only are you stereotyping, but you also seem to have reading comprehension difficulties. Avigael Cassel's comments, at the very top of this thread, shows at very least that anti-vaxxers are fact-driven and are looking for answers to very legitimate questions. Why assume it was a friend on facebook without evidence? I am not sure how you define "fact", but I am certain that Avigael is not at all concerned about them. She wants to believe the conspiracy theory because it's comfortable to her for some reason. Most anti-vaxxers have nothing beyond they "read something on some credibly-sounding website". OK, I'll bite - I don'tr know Avigael Cassel at all, other than her comments here, but is she is really "Fact driven", and has done serious research, please let me know which clinical trials back up her conclusions, how many years she researched before coming to her conclusions, and which scientists agree with her. If you google and of her claims above (and I took the time to do that), you'll see dozens of sites from Scientist, Doctors, and other people who have done actual research showing why the "facts" she quotes are not very trustworthy. I did not find any clinical research that backed up any of her claims. But I'm sure she'll be able to point me to the scientific journals or other published articles that confirm her claims. It is interesting that in these two days, since you posted your request for links to the research supporting the anti-vax claims, you have not gotten even one reply! Why the uproar about vaccination, arguably the only people to potentially be effected by not vaccinating are others who likewise don't vaccinate. Since they accept the potential risk, why are those who are vaccinated making such a protest? There are people who would vaccinate but can not because their immune system is too weak - like sick people or babies. I'm curious if anyone can sort of pinpoint the point(s) of departure between the two sides and their beliefs. I suspect knowing this would be beneficial to winning over the other side. There is Strong Evidence to Suggest that Autism causes Vaccines! 1. Autistic people are often of high intelligence. 2. Autistic people often prefer to avoid much interaction with others, and, thus, would prefer to be in a laboratory working, mostly alone, on scientific experiments. 3. Many scientific experiments are in the health field. 4. Scientific experiments in the health field can lead to the development of vaccines! All i can say is that i used to think the same way as you and your brother in law. i saw with my own eyes a horrible vaccine injury. What did you see? How do you know what the cause was? What process did you use to make this determination? This new term "vaccine injury" is worrying, because it was literally made up to make vaccines sound scary and dangerous. So what did this post accomplish? Maybe Binyamin became a werewolf because he wasn’t vaccinated. Thanks for posting the piece by your brother-in-law. I hope it does some good. I'm not religious, but surely the principle of Pikuach Nefesh teaches us that God expects us to protect ourselves, which means that those who deliberately reject the benefits of life-saving science are acting contrary to true Torah values. The way to solve the debate is to allow the vaccine injured to sue doctors, pharmacies, hospitals, and pharmaceutical companies--anyone who offers vaccines. The vaccine injured are shoved under the rug while the fat cat pharma companies get off--no safety, no effectiveness. Let's repeal the 1986 Vaccine Injury Compensation Bill NOW, and we'll see how quickly the vaccine schedule will become sane, the products will become better, and more effective.